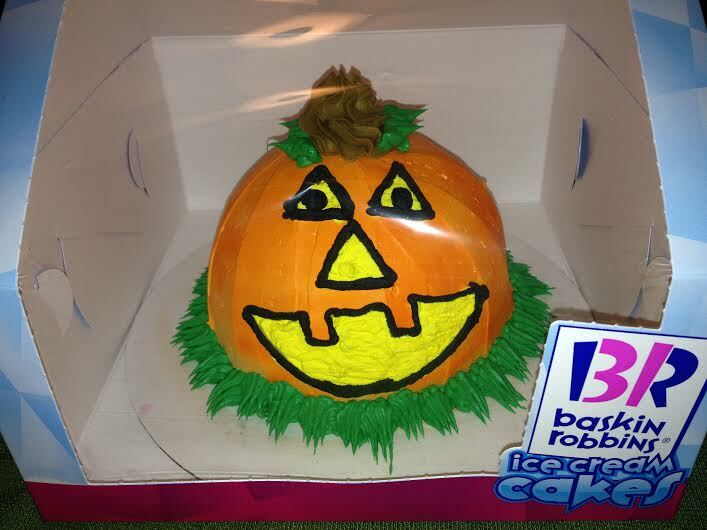 Baskin-Robbins has us covered with a festive cake to bring to your Halloween Party! 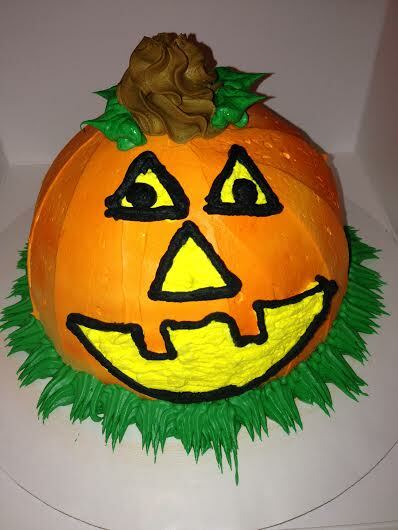 On the outside you have an adorable Jack O’ Lantern shaped ice cream cake. And on the inside you have a festive surprise that all candy lovers will enjoy. 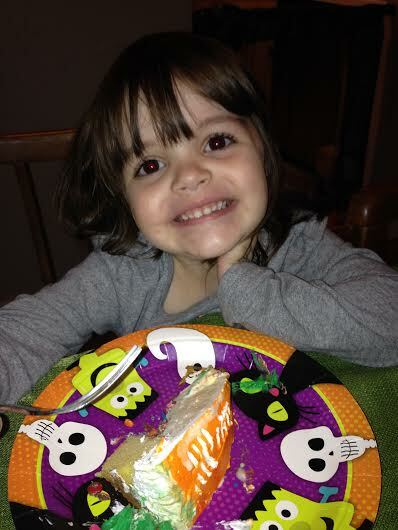 I brought the cake home to my family last night as a great pre-Halloween treat. My daughters were so excited to see such an adorable cake for them to enjoy and they were even more excited it was a Baskin-Robbins Ice Cream cake. Since the cake is a piñata cake I made sure they were close by when I cut into it. 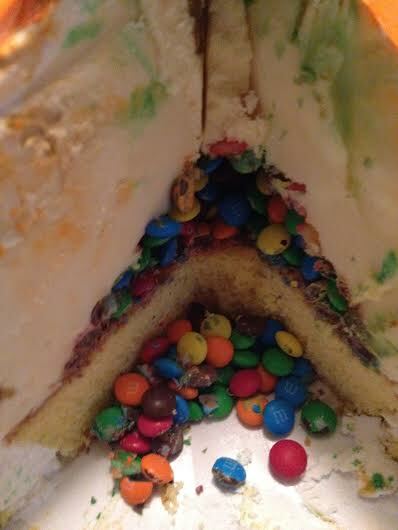 As soon as we cut into the cake they heard the little M&M’s inside fall to the center of the cake. My daughter loved the cake and smiled from ear to ear enjoying each bite. We bought the cake that had a vanilla cake inside but there is a chocolate cake inside available for all the chocolate lovers. 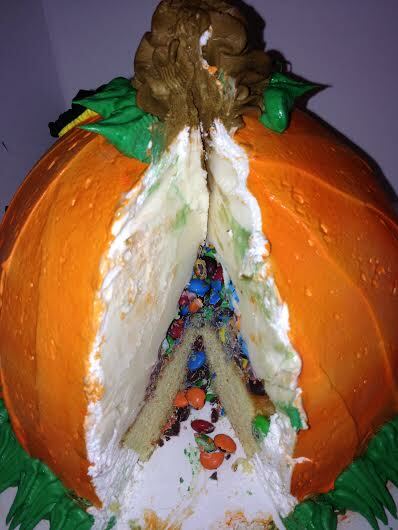 After you eat your piece you can enjoy more little M&M’s after since it is an M&M overload. But, this overload was greatly appreciated by our family because you can never have too many candy treats for Halloween. Head to your local Baskin Robbins and get your festive Ice Cream Cakes by Baskin-Robbins. Celebrate 31 promotion on October 31st. 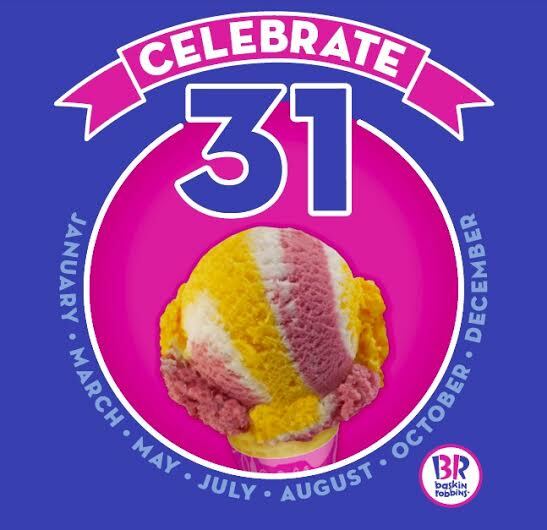 For one day only, ice cream lovers can enjoy any scoop for just $1.31 at participating Baskin-Robbins shops nationwide.